TV news icon Ted Koppel built his legendary career on telling it like it is. You may not always LIKE what he has to say… or agree with his politics… but his cutting questions and sharp observations turned "Nightline" into must-see TV for decades. Now, the retired newsman has turned that same sharp eye on President Donald Trump. Not his policies or personality. Koppel would almost certainly have some problems with those (he was a key part of the liberal media establishment, after all). No, he's looking just at Trump's observations about the "fake news" media – and the president's complaint that they're not there to report on the news and his administration. They're out to get him. "He's not mistaken when so many of the liberal media, for example, described themselves as belonging to the Resistance," Koppel said during a discussion this month at the Carnegie Endowment for International Peace. 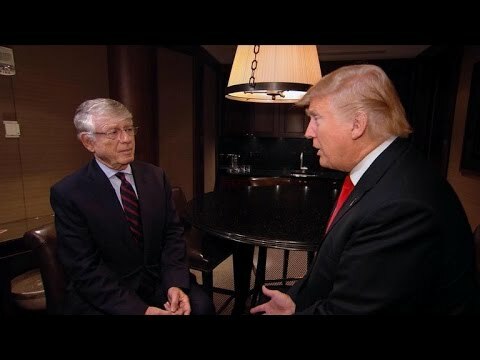 Veteran journalist Ted Koppel calls out an anti-Trump bias in the media.